There are many ways to contribute -- with monetary or in-kind donations, sponsorship of our annual fundraiser, or shopping on AmazonSmile. Sponsors donating $100 or more will be listed in our program book at our annual fundraiser. Business donors of $125 or more will receive advertising space in the program. Please email hgc@calvinchin.com by May 15th to reserve space. 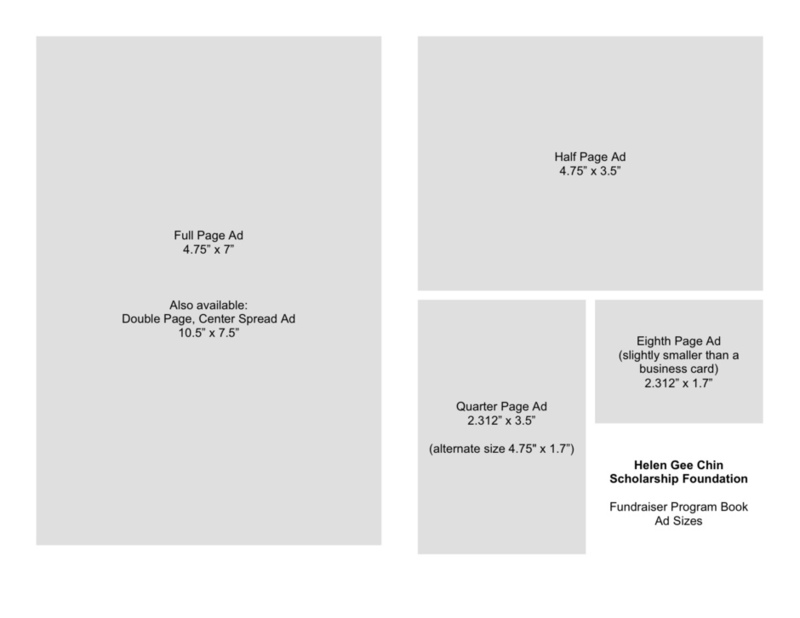 View ad sizes here. We thank you for helping us create this lasting legacy in Helen Gee Chin’s name. The IRS has determined that the Helen Gee Chin Scholarship Foundation is exempt from Federal income tax under section 501(c)(3) of the Internal Revenue Code. Contributions to the Foundation are deductible under section 170 of the Code. The Foundation is also qualified to receive tax deductible bequests, devises, transfers or gifts under section 2055, 2106 or 2522 of the Code. Organizations exempt under section 501(c)(3) of the Code are further classified as either public charities or private foundations. The Foundation has been determined a public charity under Code section 509(a)(2).